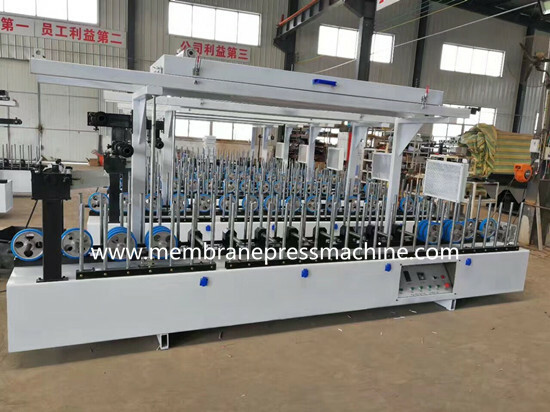 aluminium profile wrapping machine is specially designed for wrapping all kinds of decorative paper and PVC film on aluminium,MDF and WPC profiles in different shapes. 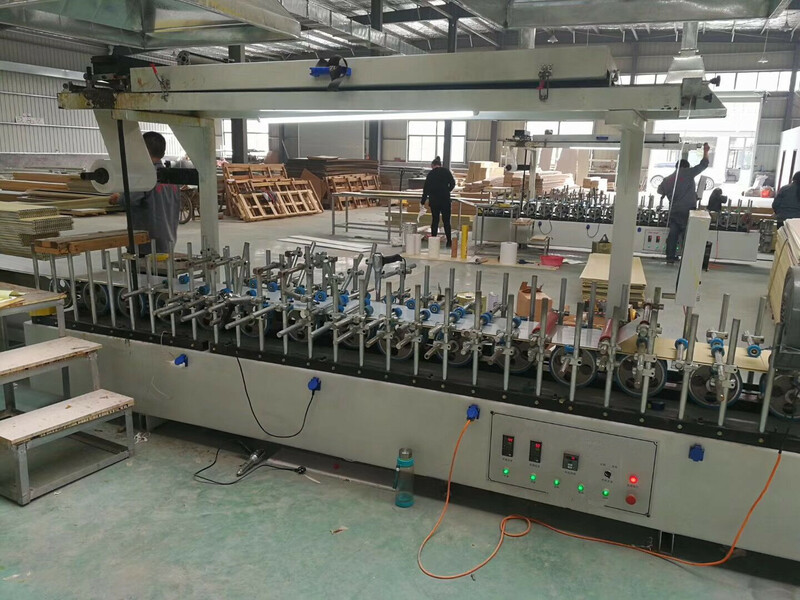 1,Drive mothed:Gear drive with good stabbility and high accuracy,is much better than train drive. 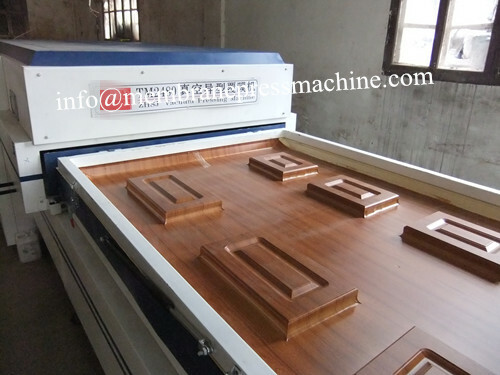 2,Body of the machine:Monoblock casting of the machine body with high working accuracy,without deforming,is much better than steel panel joined by welding. 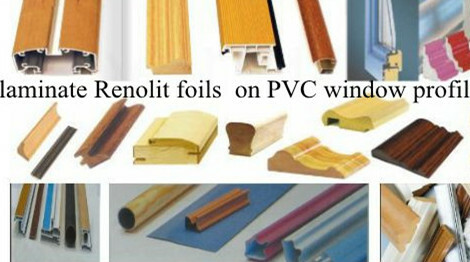 3,Paper roll design:air power,is much better than manual one. 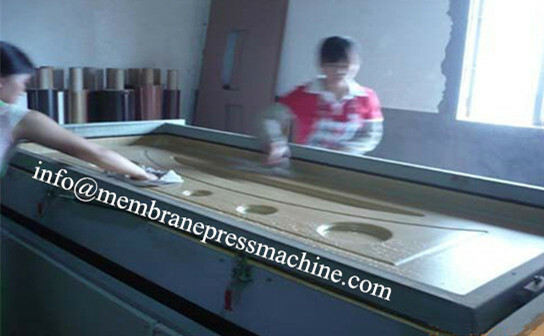 4,Material of the press roller:silica gel roller,do not stick the glue easy to clean.with long operating life,is much better than the normal rubber roller. 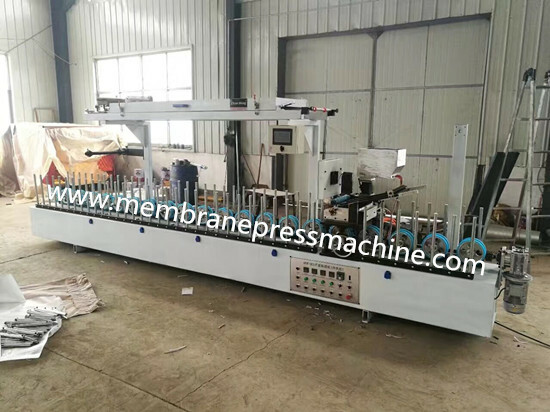 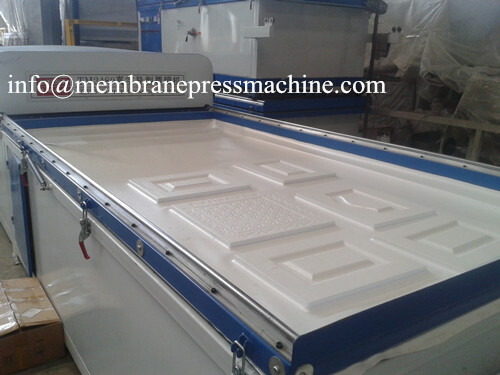 This machine is adopted high standard in gelatinizing ,the machine should cover various angles,round arc,concave and convexity,press groove ,curved boarder,etc. 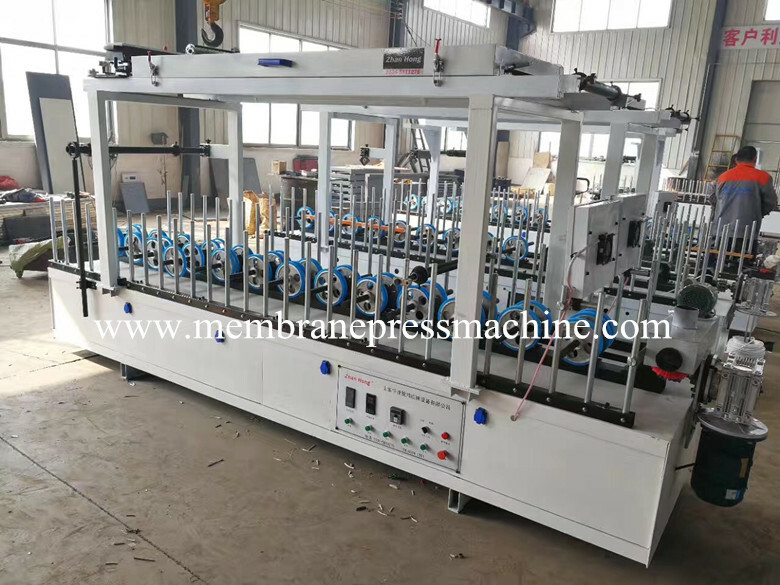 The PVC profile wrapping machine is suitable for construction,furniture,table ,window,,,door and decorative strips and relative factories. 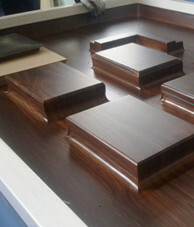 Complicated shaped products' surface could be turn into perfect. 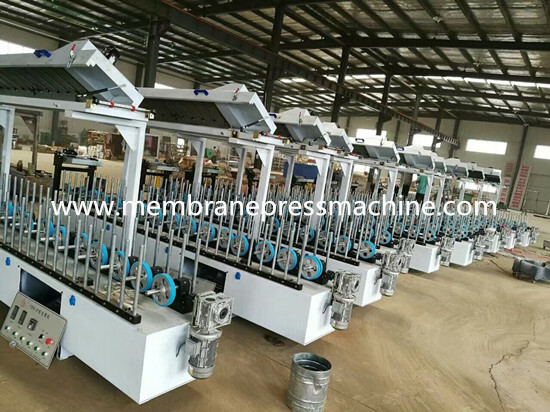 More detail information & tech of profile wrapping machine 300mm ,please kindly contact with us .